After creating the winter warmers for her for the Crate Crochet subscription box I thought it only far to create a version for "him" as well! 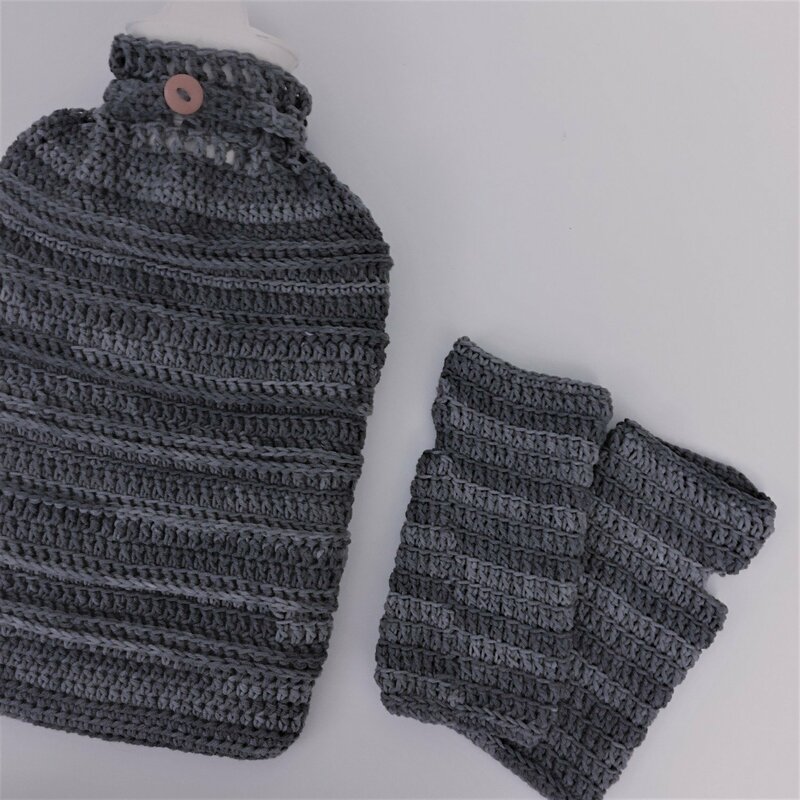 This pattern includes a hot water bottle and wrist warmers designed for guys, but could easily be made in "girl" colours and used for her too. Made from Scheepjes softfun denim, but is suitable for any cotton or wool needing a 4mm hook. Why not try it with these cottons from Cascade.